Fisher Mechanical Inc. can provide you with the best in quality workmanship for a variety of tasks. In fact, we have earned the reputation for being the local leading commercial HVAC contractor simply by doing what we do best – taking care of our clients. The work we do is always intended to help our customers get the maximum in performance and longevity from their system. You will appreciate the dedication we have for achieving these optimal results, for every job we take on. Here in Horsham, PA, there may be a number of HVAC contractors out there, but it is vital to understand the major differences between residential and commercial. For one thing, the location is usually different. Commercial HVAC systems are most commonly located on the roof due to their size, as well as a way of keeping them safe from issues like vandalism. Residential systems are generally split, meaning part of the system is inside the home while other components are outside. However, commercial units are usually all packaged. 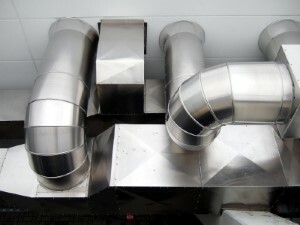 Of course, it should come as no real surprise that commercial HVAC units are more complex. That means having experience with only residential systems will not prepare a contractor for the work required to maintain a commercial unit.